Oscar and Adam’s intake photos in Wayne County. 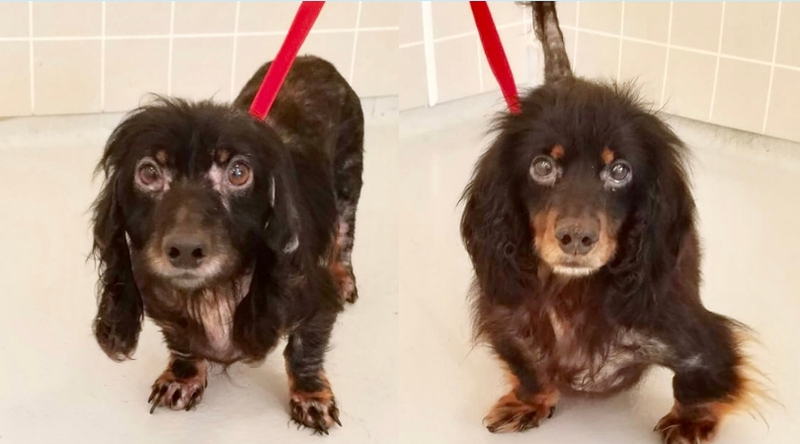 When Friendship APL got a call about two senior dachshunds that were found roaming the streets of Wayne County, we knew we had to come to the rescue. 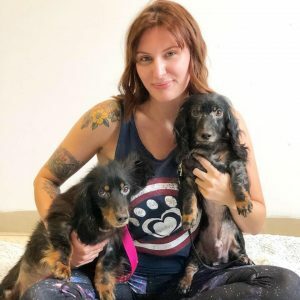 It was clear from the photos that these poor pups, one standard dachshund and one mini, had been living the “ruff” life for a while. It is unknown if they were no longer wanted and were let a-stray, or if they had found their own way out of their previous home. Either way, they were picked up and waited…and sadly were not claimed by anyone. These poor pups were burdened with inflamed skin and major hair loss. 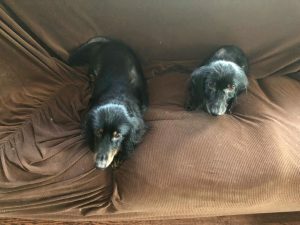 The wiener dogs, that we named Oscar and Adam, were dirty, had major hair loss and could barely waddle due to their long, curled nails. 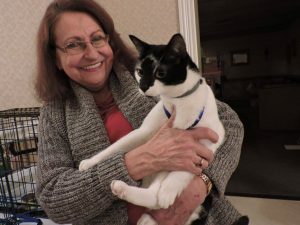 Their eyes were severely infected from an untreated illness, the hair they had left was matted, and their ears hadn’t been cleaned in a long time. Despite all this, they were happy, friendly and curious. Their predicament, however they found themselves in it, had no sway on their spirits. At Friendship APL, they began treatment and were placed up for adoption to continue the healing process in a home. 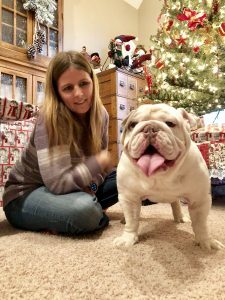 It was at the Friendship APL where they found their adopter, who was the perfect person to start them on their new journey. Their first night on their new mom’s couch. Their long journey led them to this! “It’s like they’ve always been part of my life. So I renamed them Sam and Omie (after a restaurant in OBX) and Sam (the big one) is almost totally clear of his kennel cough. He takes his iniprinal every day for his heart failure and hopefully with that, he will have a full lifespan. He is a snuggler and a lap dog and enjoys sniffing around in the backyard. He and my golden retriever play well together and he runs around my house with a happy trot and wagging tail, making a thunderous noise. Sam and Omie with their new dog family. Look at them today! Their coats continue to improve. 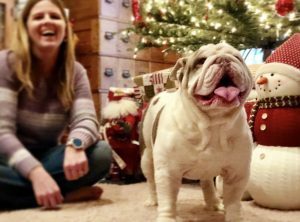 From wandering the streets to a warm bed – these pups are now living a great life. The Friendship APL is able to continue rescuing dogs like Oscar and Adam because of the generous support of our donors. Click here to learn how to support our mission, and to donate to dogs like Oscar and Adam. I pulled into a local pet supply store today to make a pickup and eventual delivery to Friendship APL. I turned a corner and calmly parked my car as any other person in a mild-mannered mood would. Little did I know such a blissful floating-through-the-day was about to come to an end. The car parked next to me was a silver Chevy Cobalt. Nothing stood out from the small vehicle that grabbed my attention…until a dog barked. 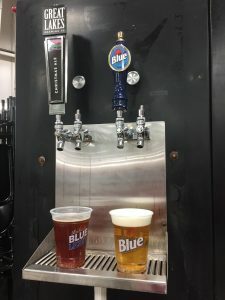 I spun around, abruptly ceasing my progress to head to the store’s front door and slowly approached the roving oven (a.k.a. the car holding the dog). 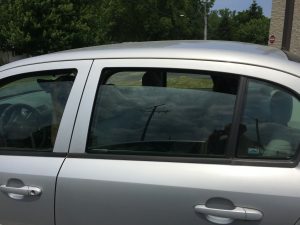 Each of the four windows were open as you’ll see in the photo below, but with an opening ranging from approximately 1.5″ to 2.5″, this was not nearly enough to reduce the baking heat inside that car. Was it better than the windows totally closed? Of course. However, let’s not argue for maintaining the situation at hand. 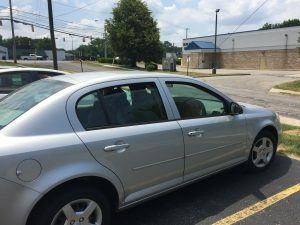 Upon closer inspection, there was not one, but two dogs in the car. They appeared to be German Shepherds or at least a German Shepherd mix. The one that barked out to me was in the driver’s seat while the other was on the backseat. Both were panting heavily and both were obviously in a state of great discomfort. 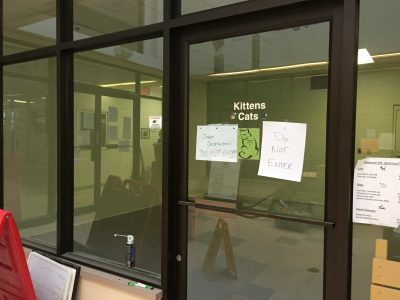 I checked all four windows and observed the less than respectable openings. Then the poor pooch up front was struggling to stick his nose through the gap in the window for some air. I’d seen enough. It was time to go inside and get answers. I’m not a scientist, but I am familiar with many of its basic workings. Take temperature for instance. If you have a frozen bag of peas and you put it in the oven at 150 degrees, that mystical science sorcery stuff starts occurring and things will change. Magic! The integrity of the bag will eventually begin to deteriorate and the peas will no longer be frozen. So despite this widely grasped knowledge, this woman was essentially saying to me that peas will remain frozen in the oven because they were in the freezer all day. I suppose some people still think that if you sail far enough, you’ll fall off the edge of the earth too, but I digress. During this conversation between she and I, the husband continued to stare at me with a somewhat confrontational glare. Hey, this isn’t Roadhouse with Patrick Swayze and no one was going cowboy in this scenario. Still, calling the police was definitely on my radar which was the next step. The woman must have seen that I was not budging on the urgency of the dogs’ situation so she quickly passed the car keys to her husband who proceeded to the store’s exit while mumbling something to me under his breath. Oh yes kind sir, mumble away. Mumble to your heart’s content and curse me until the cows come home. I could care less. Just make sure you get yourself to that car ASAP and get the AC on and get those windows open before an officer needs to show up, because 327-2191 is engrained into this brain and the North Ridgeville Police are only a thumb click away. Don’t be the person that does this. So for anyone who, after reading this Pulitzer worthy article, still does not think anything is wrong with doing what those people did, I invite you to a challenge. Park your car out in the sun on an 83-degree day like today. Open each window two inches or less. Then sit there with the car off. Tell me how you feel after three minutes, after five minutes. Let’s not forget that dogs, especially German Shepherds, have a permanent fur coat. Put a jacket on and sit in that heat. The moral of the story is don’t be an inconsiderate buffoon who should be sent off to jail for behavior like this while the dogs have to suffer. Either open all those windows halfway (minimum!) or don’t even bring the animals with you in the first place. Use. Your. Head. Everyone knows what a dog license is. They’re the shiny little tags that dangle from the collars of our canine companions, right? 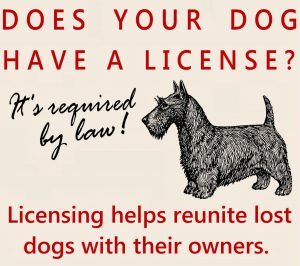 Sure, but they are also much more than just doggie jewelry or a mere action people follow through with “just because.” So what is the point of a dog license and just how necessary is it? 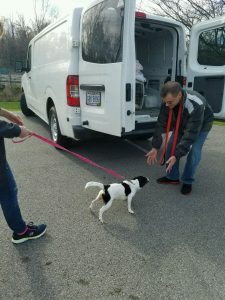 “First off, it gets your dog home if it gets lost,” says Lorain Police Officer and FAPL volunteer ‘Doc’ Rick. “Second, it’s the law and can save you from a $100 fine,” he adds. The dog license, as you can see, is not really a debatable option. If you are planning on taking on a dog, or if you already have an unlicensed one, buying a dog license is something you will want to address sooner rather than later. Dog licenses purchased after January 31, 2017 cost $32.75. 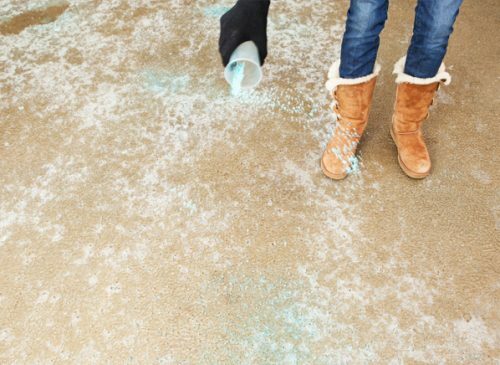 However, if you just moved into Lorain County or if your dog is under six months old, the cost is $16.75. Doc Rick also mentioned that the cost of the license goes to running county kennels such as the care and feeding of the dogs there. For an extra $5, you can get the heart-shaped license which goes toward medical care for the kennel dogs. Also, keep in mind the license needs to be renewed on an annual basis. It’s important to remember that a dog license is much more than a piece of metal. 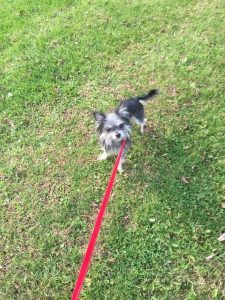 It’s the law and that tag is vital for getting a lost dog back home. For those that may think either or both of those prices are somewhat high, in all seriousness it is best to really consider the animal companion itself you are taking on. There will be plenty more expenses where that came from. The license is only the beginning of the care and financial responsibility that is required. 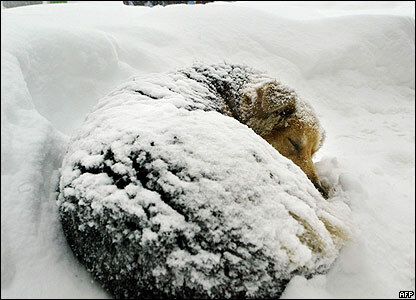 Friends of Fido is a non-profit organization dedicated to caring for and rescuing dogs. They run strictly off of donations and have been partnered with Friendship APL for some time now. As far as dog pounds go, Friends of Fido works exclusively with the Mahoning County Dog Pound & Adoption Center. 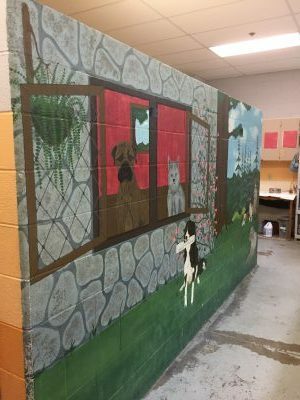 The charitable group’s volunteers contribute on a variety of levels when they pay their visits to the Mahoning pound by socializing with dogs, walking the dogs, and even photography of the dogs there. However, their generous involvement doesn’t stop there. 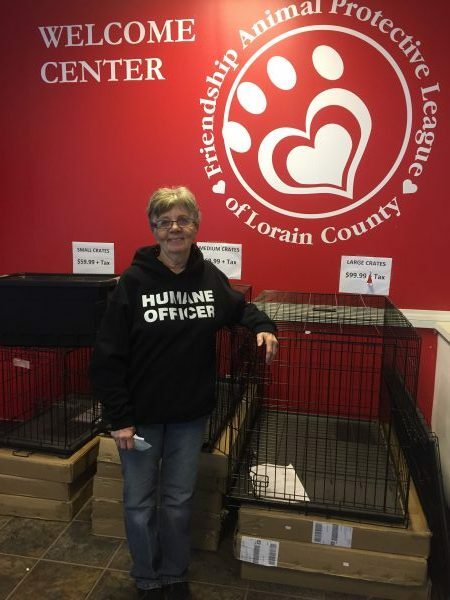 As I mentioned, Friends of Fido works closely with Friendship in getting dogs out of the Mahoning pound, which at any given time can hold 50 canines of varying sizes. 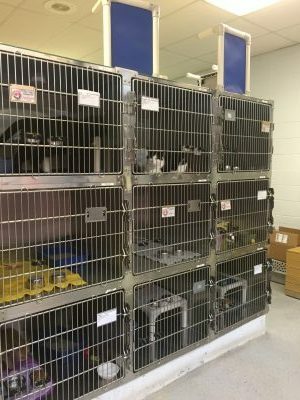 While I personally have not paid a visit to that establishment, I have been to the Richland County Dog Shelter which holds the same amount if not more. 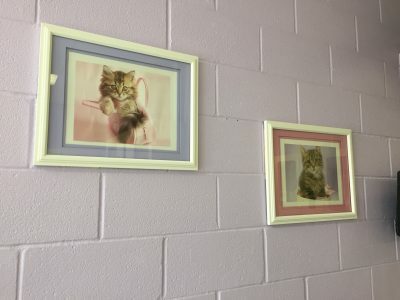 These places are good in that they give the dogs a chance at adoption. These places also have a strong negative in that they are a very chaotic atmosphere for the dogs. Walking into one of these incites one dog to bark which becomes a chain reaction for the other dogs. The next thing you know it becomes a yelping symphony and a very stressful environment for the animals. Plus, when it comes to adoption at these places, it becomes a scenario of odds. 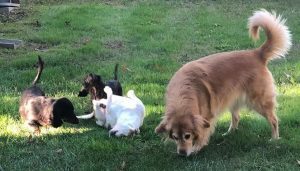 Take a dog out of a crowd of 50 and put him or her in a situation of half that and their exposure to a great potential adopter improves dramatically. That exposure comes to fruition at FAPL, and one such success story involves that of Pluto. Pluto is a mixed breed pooch discovered by a Friends of Fido volunteer who soon learned that Pluto was suffering from the early stages of heartworm. 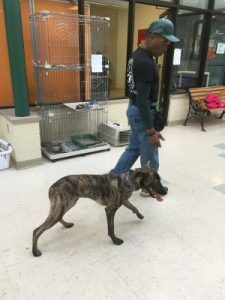 They wanted to get Pluto out of the Mahoning pound where he had already been residing for a few months. 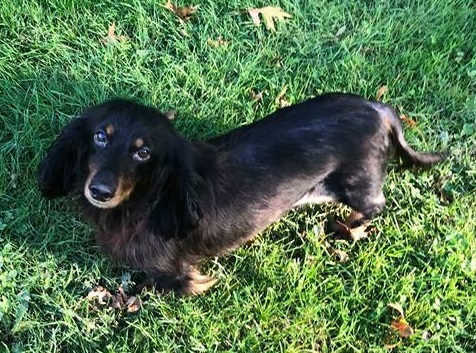 As part of the way the group operates, Friends of Fido made a donation to FAPL to assist with the treatment of the heartworm parasites, of which Pluto made a complete recovery after roughly a month. 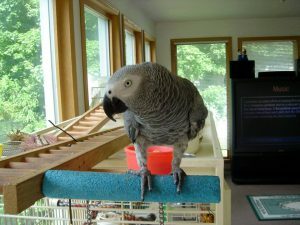 Once Pluto got the all clear from a veterinarian, he was eligible for the adoption floor at FAPL. 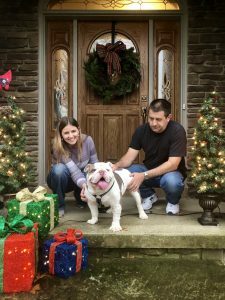 Once that green light was given, it didn’t take long for the lovable dog with one floppy ear to get scooped up by a loving family. Right now, Pluto is living the high life with his new human companions and everyone seems enamored with the tan-coated comrade. This may be the first time you have heard of Friends of Fido, maybe not. However, stories like these are not rarities with them. Like FAPL, they are often unsung heroes in the world of saving pets’ lives and getting them adopted in great homes. This line of work isn’t a popularity contest though. Instead, it’s often a race against time to get these loving animals connected to loving people. In the case of Pluto and so many before him, mission accomplished. In November of 2016, we were informed that we were one of 25 shelters being awarded a $10,000 grant. 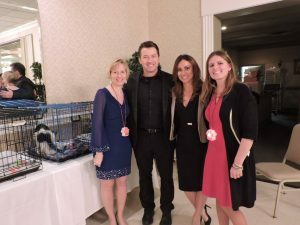 This grant had a primary objective of saving the lives of animals that might otherwise not have had an opportunity to find forever homes. That is exactly what Friendship APL did. It all began with a little dog named Penguin. Lorain Police Officer and Friendship APL volunteer, Rick Broz, found an injured dog in the city. He had been hit by a car. His leg and pelvis were left shattered. He spent several days at Lorain Animal Hospital before being transferred to our care. We took Penguin to West Park Animal Hospital. After X-rays, we knew the leg was too far gone to save. 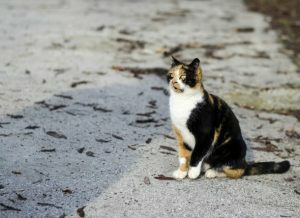 It would require amputation followed by a month of rehabilitation in a foster home to allow the fractured pelvis to heal. 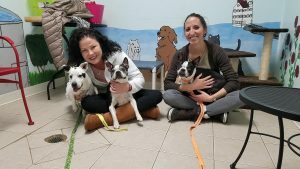 On February 25th, Ashley Sims drove all the way from New Jersey to meet her sister at Friendship with her two Boston Terriers in tow. She had been following Penguin’s story since his arrival. After a meet and greet between her and her four-legged family, Penguin was on his way home to the Garden State. Ashley Sims and her growing family with her sister Erin George. With Penguin’s story came a series of dogs with similar injuries, either on accident or on purpose, which all had similar issues. Next up was dog number two – Lola! Lola shortly after her amputation. 9 month-old Lola arrived from the Mahoning County dog pound. She was intended to be an easy adoption from an overcrowded shelter needing help. Shortly after arrival though, our volunteers and staff noticed some swelling and tenderness in her front leg. We took her to West Park for X-rays. 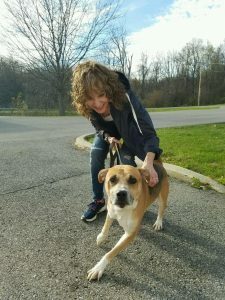 To our disbelief, she had been walking around on a leg that had been broken most likely weeks before arriving at the Mahoning County Dog Pound. It had actually begun to heal but in such a way as to cause much discomfort for the poor girl. The leg at this point could not be saved and once again would require the leg to be amputated. 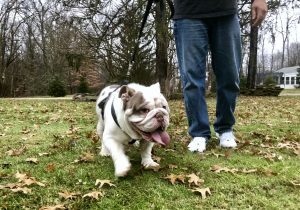 Lola officially arrived at Friendship APL on January 9th. She found her new home on January 28th. 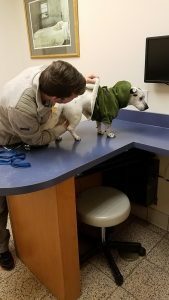 Coincidentally, while sitting in the emergency clinic, the City of Cleveland Dog Warden walked in with a dog that had been hit by a car. What was wrong with the young Boxer mix? You guessed it another broken leg! The dog would be made comfortable by the West Park staff and held for three days should an owner step forward. No owner step forward, and Friendship agreed to help the stray dog. Dog number three would come to be known as Serendipity because if we had not been there with Lola, would we ever have had the opportunity to help her? Serendipity and I take a selfie shortly after surgery. Serendipity’s injury was recent. 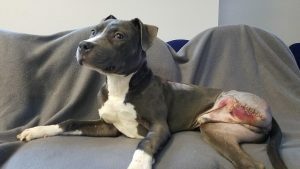 Thanks to the work of the Cleveland Kennel’s and the team at West Park, her leg was able to be saved. 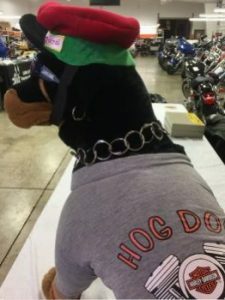 It required the placement of plates and pins, but she would be the only dog in this story able to keep her leg. Serendipity officially arrived at Friendship APL on February 1st (she arrived at West Park Animal Hospital on January 9th). She would find her forever home on February 4th. Next up was Arrow, an 8 month-old Pitbull. This was a direct request from a veterinarian. This sweet boy was surrendered over to the vet for euthanasia following an injury to his rear leg. After seeing the multitude of stories over the past two weeks, it made sense that the staff would reach out to us to help. Arrow shows off for the camera. He is a total ham! Arrow arrived at Friendship APL on January 14th. 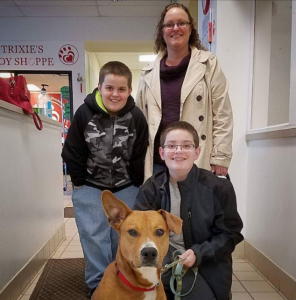 He found a loving family on January 18th! The final dog in the bunch was very special. We had emergency call come in concerning a puppy that had been attacked by another dog. The good Samaritan was able to rescue the dog from the attack and drive him over to Friendship APL. 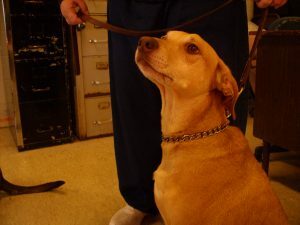 The little Beagle mix was only four or five months old. The injury was so severe, it required immediate surgery. Their were two immediate concerns. 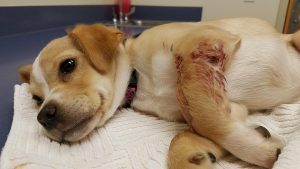 Bite wounds are more likely to become infected, and her leg had been snapped in two. This would be the hardest decision we would have to make. An hour after arriving at Friendship, Aubrey waits at West Park Animal Hospital for veterinarians to examine her. We had two choices. One. We could put pins and plates in and save her leg. Two. We could amputate. Option one seemed like the obvious choice. However, upon further discussion with her veterinarian, this could result in multiple surgeries. Given her age, her leg would continue to grow. This could result in her having to undergo multiple surgeries over several weeks. With each surgery, there would be a risk of complication. We decided to go with option two. 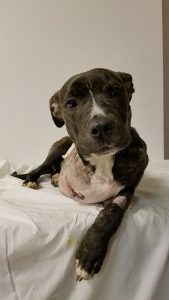 She would only have to spend a few weeks recovering in a foster home adjusting to life on three legs before heading to a new home. And that is exactly what happened. Aubrey arrived at the shelter on January 22nd. She found her Valentine on February 14th. One of the strangest parts of this story is that Penguin would lose his right, rear leg. Lola would lose her right, front leg. Arrow would lose his left, rear leg. Aubrey would lose her right, front leg. That means every dog which needed surgery in January would lose a different leg. All but Serendipity, who did not lose a leg at all. What are the odds of that? 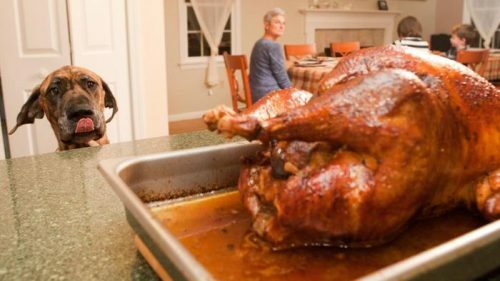 On behalf of our entire staff, volunteers and the Petfinder Five, we extend our most heartfelt gratitude for helping us save lives. 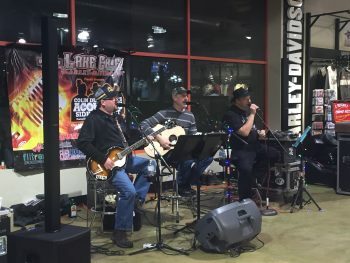 While Friendship APL has a significant number of volunteers, they also have a strong staff of employees there that keep things on track and moving forward. 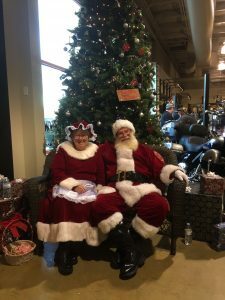 One of those employees happens to be one of the more seasoned veterans at Friendship who has seen and done quite a lot in her time there thus far. With that being said, our February spotlight is on none other than our beloved Denise. Gregg: You’re one of the few Humane Officers on staff here at FAPL. What interested you in that position? Denise: To be honest, it was never what I thought I’d be doing. 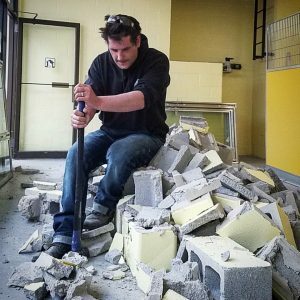 When I first started at the shelter in 1999, I did a little bit of everything around the office and at the front desk. After doing that for about a year, I ended up becoming a Humane Officer and I’ve never looked back since. It’s a been a wonderful job. Gregg: What all is involved in being a Humane Officer? Denise: It can be intense at times. There are a number of prosecutions and resulting court appearances that must be made. There are investigations, roughly 400 to 450 a year, that lead up to those prosecutions and a lot of reporting to document all of these situations. Another facet of the job is seizing animals, most commonly dogs in unfavorable living conditions/situations. 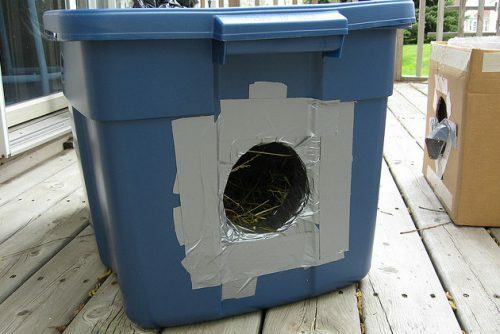 Denise: Cats not so much, but we do seize a few cats from time to time. The vast majority of the cases are definitely dogs and even the occasional farm animal like horses and pigs. Since we can’t bring horses to the shelter, we have special foster homes set up for them. One of the most important aspects of the Humane Officer position, however, is educating people. It is very important to inform the public on how to properly care for their pets and what to look for in reporting bad situations. Gregg: That definitely sounds like it keeps you busy! Anything else on your résumé? Denise: Yes actually. 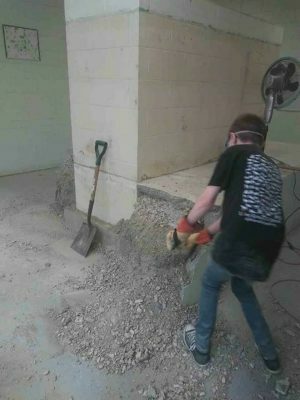 I’ve been involved in the Grafton prison program with the shelter for the past 17 years. It’s been pretty rewarding and it’s great to see how far that program has come. Thank you for all your effort, Denise! It sounds like she has a full plate so we’ll let her get back to work. 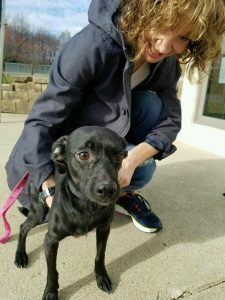 While it is a great thing to pair a homeless dog with a loving family, it is another to actually help that family train their new four-legged family member. There are multiple cogs in the process of getting an animal adopted. It can start from getting them out of an unfavorable environment, but it doesn’t always end with the the adoption itself. Sometimes the new dog is just a little to wily for his or her new home. For the humans, it can be frustrating dealing with a pooch that’s operating on overdrive and not adhering to commands. If you’re looking for help, search no more. Friendship APL is offering training classes for you and your dog! FAPL’s resident dog whisperer, Don Hitchens, has over 20 years experience working with canines. 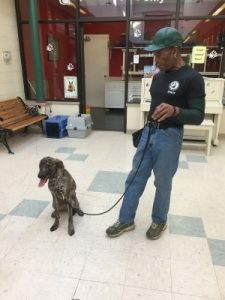 One of his many résumé highlights is training Friendship APL dogs at the Grafton Correctional Institute, which allows previously difficult-to-adopt dogs (too shy or maybe a bit hyper) to get acclimated to their human counterparts and listening to commands. Don is more than proficient in a number of training styles and will help you teach your dog in a variety of areas. 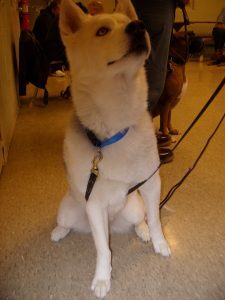 Classes are 6 weeks for $125 involving basic obedience and socialization. To sign up or schedule an appointment with Don Hitchens, please call 440-322-4321 (ext. 22) or email humane@frienshipapl.org. With all animals that come through the doors of the Friendship APL, our goal is to find them good homes. Sometimes the situation at hand just isn’t conducive to that ideal scenario. Take the case of canines for instance. Like people, dogs (and cats for that matter) can have a wide range of personalities. Some are more energetic than others. Others are more reclusive. Unfortunately, extremes in that behavioral spectrum do not relate to the most adoptable pet. A hyper dog can have trouble adhering to commands and the overly shy dog may have minimal interaction with their human counterparts. 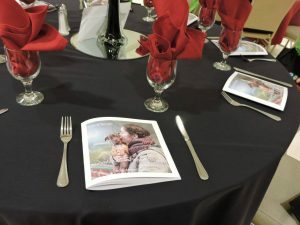 In lieu of scenarios that can prohibit an adoption that is ideal for all parties involved, Friendship APL has utilized an unconventional but extremely productive resource. If I told you this resource was the GCI, most would pass off the three-letter abbreviation as the condensed name of some company that works with dogs. That’s not entirely accurate, but not wholly incorrect either. No it’s not a company, but yes they do work with dogs. It’s the Grafton Correctional Institution. Yes, it’s the “big house” for these animals, though the care and guidance they receive is anything but punishment. This minimum/medium-security installation saw the implementation of the Love-a-Pup program in 1999. 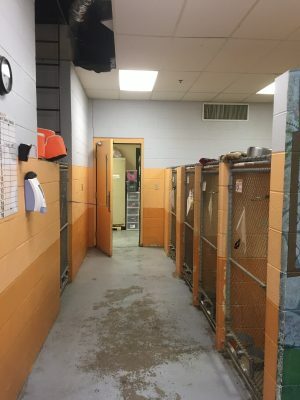 In short, FAPL sends dogs to the prison where they go through an 8 to 12-week program to become a dog that has either come out of their shell or has calmed down to be an attentive companion. In reality, it is much more than that. Sure, that is a grand step for these animals and FAPL as well. A dog that can be adopted frees up space in the shelter for another dog to get rescued off the streets, from a bad home or even from a kill shelter. There is the human connection, however, that cannot be ignored. This Shepherd heeds his handler’s commands during a review of the dog’s progress. Yes, the men that call the walls of GCI home have done some bad things to get there. The point of this article is not to discuss who is a bad person and who just made bad decisions. These guys are there for however long, and amidst the 1,999 inmates currently there, close to 20 of them get to have an opportunity to bring a new purpose to their confinement. 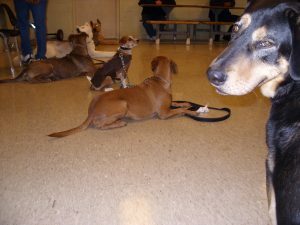 What started out as a six-dog program close to two decades ago, has more than tripled in size. 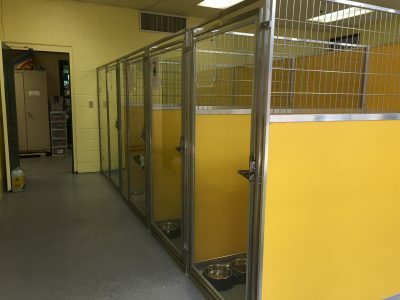 Once an inmate who applies to be a part of the program has been given the green light, they get to choose their dog who is assigned to him 24/7 for the aforementioned 8 to 12 weeks. 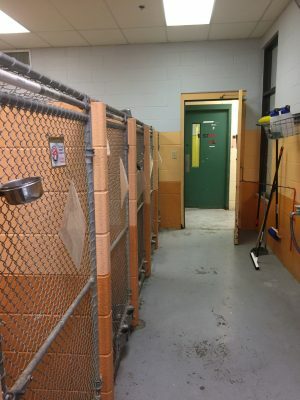 On the day I visited the Grafton Correctional Institution, 18 dogs and their inmate handlers came into a room, one by one, supervised by the facility’s Sgt. Roberts and FAPL’s own dog trainer, Don Hutchins. The inmates and their dogs, ranging in all breeds and sizes, from a spunky Chihuahua-mix to an all-white icy-eyed Husky, stood in place while Don examined each pooch. They then paraded their canine friends around the room as the dogs proudly walked in an orderly fashion at their handlers’ sides. This was soon followed by a variety of commands from the inmates such as sit, stay and come. Some dogs were a little more eager than others to get that treat in their handler’s hand, but that’s why it takes several weeks to condition these dogs and not a few weekends. 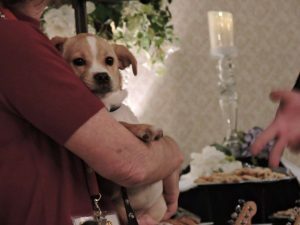 Some love the camera, some love the treats, but all will be attentive dogs once they finish the program. As for the details of the program, the dogs are with their handlers around the clock. They reside in the cell with them and have scheduled ‘bathroom’ breaks during the day. Exceptions are made in cases of medical concerns for the animal such as bowel irritation or other instances. As previously discussed, the dogs learn commands and corrective behavior, have around-the-clock attention and receive grooming as necessary. For the inmates, this is not merely a way to pass the hours. They receive a certification for being a qualified dog handler after 4,000 hours of training which can take approximately two years. 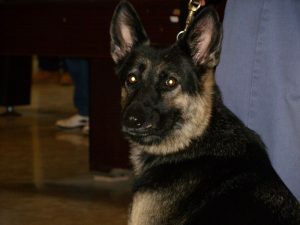 They can also receive a grooming certification for the proper cleaning and maintenance of a dog. Make no mistake as these are not simple pats on the back to boost morale. While that may be accomplished in the process, the bigger picture sees someone who has acquired skills and is now marketable for hiring once they have served their time in prison. For a country that has the highest recidivism rate in the world, this is extremely important so the individual does not somehow resort back to their ways of old. Instead, they can be a functioning part of the workforce. It is also worth mentioning how the program is not only therapeutic for the handlers, but for the prison as a whole. The presence of dogs on the GCI grounds has a calming effect. 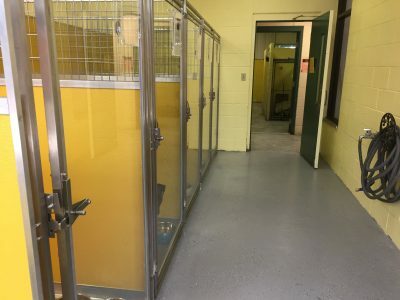 Non-handler inmates will take an interest in the animals, asking the men if they can pet their dog, while perusing any number of questions from the dog’s name to their breed and progress. In addition, there is financial production as well. 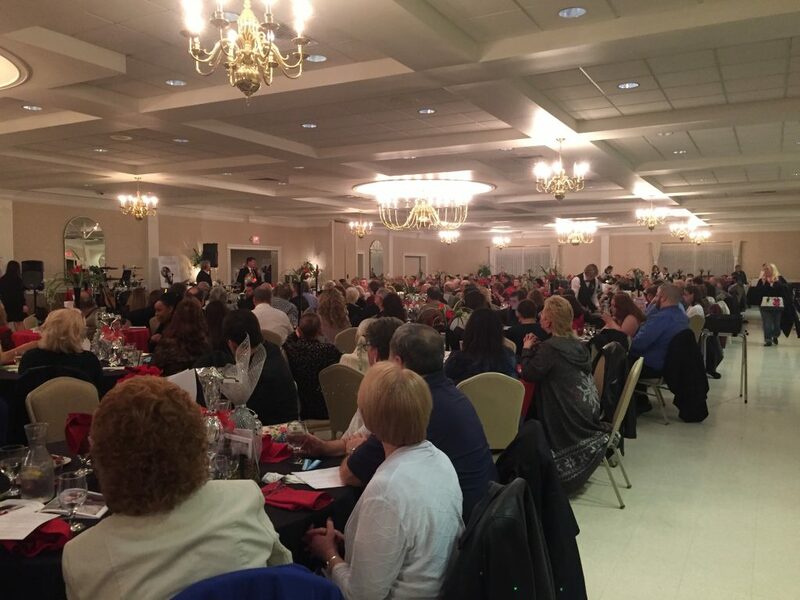 The Love-a-Pup program has generated $11,000 in the last four years alone for the prison. 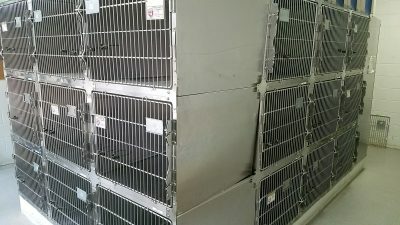 The money goes immediately back into the program, purchasing items such as cold weather gear, food and treats for the dogs, and top of the line grooming equipment such as a clipper vacuum, shark fin scissors and dental cleaning items. These men take their job very seriously, and as Sgt. Roberts expressed to me, “All of these guys either had a dog before they got here or knew a neighbor that had a dog.” That connection is undeniable in what I witnessed. 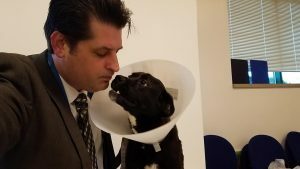 There is a chemistry between the imprisoned and their dogs and an emotional attachment that becomes apparent when it is time for the pair to part ways. Each one has become a fit for their partner which has produced priceless results. In one case, Sugar, a deaf dog found a great home caring for an autistic child. In a separate instance, another canine graduate now pulls a handicapped child in a pool via special harness; exercise and recreation the child would have otherwise not known. While ‘sit’, ‘stay’ and ‘speak’ are foundation commands, these are examples that go above and beyond of what is expected at the end of 12 weeks. While every dog that enters the program may not be a service dog, one cannot deny the importance of finding a loving home for a dog that is now eager to listen and respond to their human companion. A Husky patiently awaits his next order. 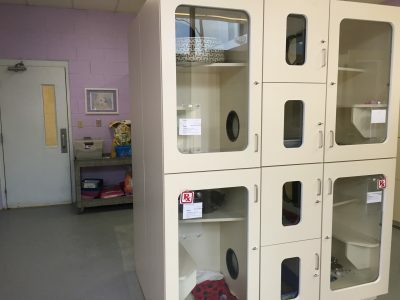 November 14th saw FAPL Executive Director Greg Willey take a trip down to the Richland County Dog Shelter. 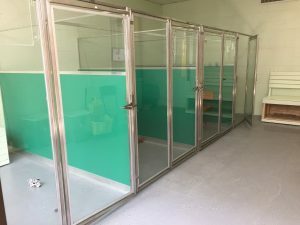 A previous article mentioned the facility’s spaciousness and resulting ability to house so many stray and surrendered pooches. At the same time it is always ideal for a dog’s stay in such a place to be as minimal on time as possible. That’s why Señor Willey and two volunteers made the trip to obtain six dogs to bring back in an effort to actively find them good homes. Denny is eager for the camera and he’s still looking for a home. 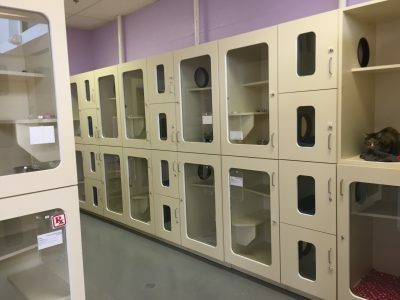 FAPL’s large transport van will comfortably hold six travel kennels of varying sizes. It is always our intent to first find dogs that are the most readily adoptable by reviewing their behavior and any available history. Second, we try and maximize the capacity of those six kennels. Now writing has always been my preference over math, but this was one time 6 = 7 made sense. Let me explain. Midnight’s stay at FAPL was short as someone scooped up this lovable Lab-mix. After a thorough review of all the animals present, it was deemed that there were seven dogs that would all have great potential for finding a great home quickly at the FAPL shelter. Notice that problem though? Six cages. Seven dogs. Oh the humanity. Not so fast though! With one of the dogs, Taz, being the tiny Yorkie that he was, easily fit on my lap for the return trip. Viola! Six cages occupied, dog #7 rode shotgun with me. As of this writing, we are proud to say nearly all seven found homes in less than a week since their pick-up from Richland. It’s just another badge of honor the shelter proudly wears in connecting good pets with their human companions. 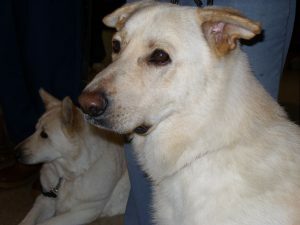 Otis, whose picture isn’t shown here, is another black Lab-mix who, along with Denny (shown at the top) are still waiting for their people counterparts to discover them. Whether it is Denny, Otis or any of the other dogs, cats or rabbits that suit your fancy, please stop in to see who can complete your family. Even if it’s just to look, we welcome your visit at the Friendship APL! Jack found his forever home on 11/19/16.